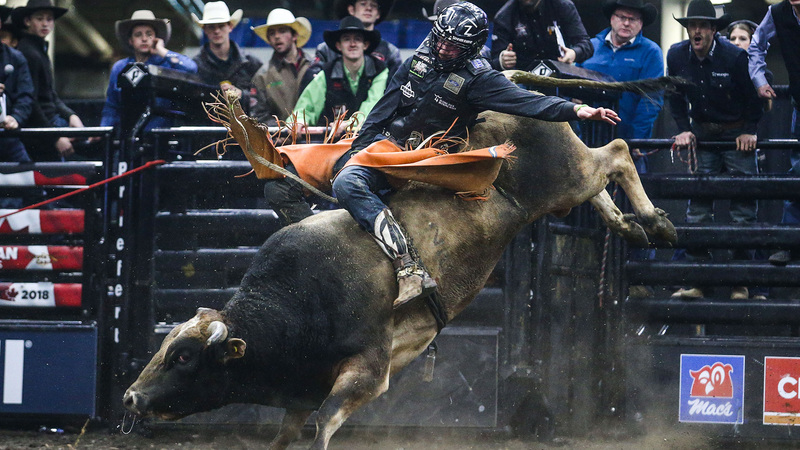 As part of the contingent that traveled to the slate of four eastern Canadian events, Happy Camper earned his next Bull of the Event title in Ottawa when he was marked 44.5 points for his 0.93-second buckoff of Austin Richardson. As part of the Monster Energy Tour, the event will now award 170 world points to the winner, as opposed to 60 last season, an amount which could hold great significance in the current world standings with the second cut of the 2019 season looming for the elite Unleash The Beast. In the current standings, should a rider with no world points capture the event win, they would skyrocket to No. 43 in the world, and trail the Top 35 by 57.5 points.